Day 7: Save $5 on Ancient Battle: Successors Gold for iPhone & iPad! 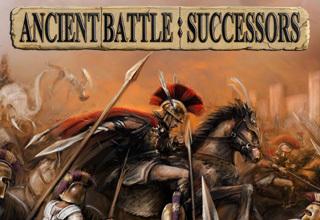 Get Ancient Battle: Successors Gold Edition for just $2.99 today (regular price $7.99)! Alexander the Great died on 13 June 323 B.C., leaving no heir. Perhaps foreseeing the many great conflicts that would follow his demise, he left the Macedonian Kingdom ‘To the best man’. These lands, spanning most of the known world, were divided between his former generals, who saw themselves as rightful Successors (or ‘Diadochi’) to the Kingdom. The Successors plunged into a maelstrom of epic conflict as they fought for power and glory. Now you have the opportunity to reign supreme over your rivals, if you can first defeat them on the battlefield. Use units such as Greek Pikemen, Macedonian Pikemen, Spearmen, Archers, Indian Elephants, Chariots, Cavalry, and Javelinmen to engage in some of the largest battles of the ancient world. 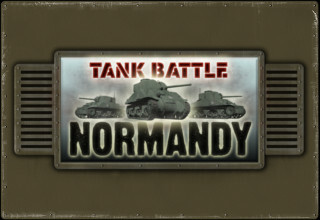 Day 6: Tank Battle: Normandy just 99c + 50% off additional campaigns on iPhone & iPad! Land your troops on the beaches of northern France, lay bridges to cross flooded enemy defences, avoid tanktraps, clear the area of dangerous minefields, overcome the enemy and claim the beachhead for the Allies! Tank Battle: Normandy is an historical wargame themed around the Allied invasion of Axis held in Europe on the 6th of June, 1944. Play as the Allies, British or Americans as many new units enter the theatre for the first time. Or, play as the Germans as they use their impressive arrays of heavy tanks, bunker emplacements and artillery to repel the invasion forces. The invasion missions are a careful recreation of the naval landings at Omaha, Utah, Sword and Gold beaches. The other missions are a mixture of themed and historical battles that challenge even the most skilled wargamers! Day 5 – Save 50% on Peninsular War Battles and all the additional campaigns on iPhone & iPad today! 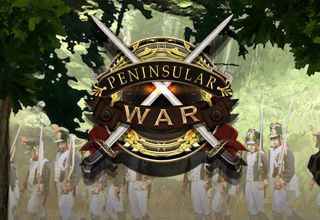 Peninsular War Battles places you at the forefront of Napoleon’s campaign to conquer Portugal and Spain. Play is possible as the British, French or Spanish across 5 campaigns with a total of 40 missions. Wars of the Roses is just $1.99 on iPhone & iPad today! 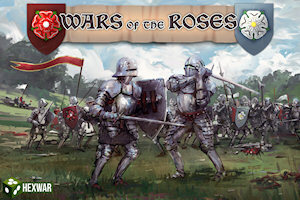 Fight the various battles of the Wars of the Roses throughout the Medieval ages. Each campaign is themed around fights between the Lancaster and Yorkist houses during various different periods of the countries rule. Capitalize on strategic advantages to turn the tide of war in your favour; ride down your foes with heavily armoured knights, hold the line with bristling ranks of billmen or strike from afar with the famed English longbow and huge pieces of artillery. Will you emerge victorious or become another casualty of war? Day 3 – Civil War: 1862 just $0.99 on iPhone & iPad today and 50% off additional campaigns! Civil War: 1862 is just $0.99 on iPhone & iPad today! You can also buy the additional campaigns in the game for just $0.99 each today (regular price $1.99)! 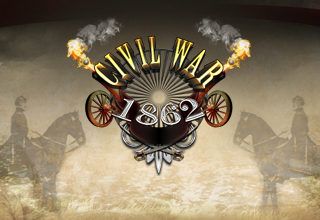 Civil War: 1862 is the prequel to Civil War: 1863, incorporating the detailed strategic gameplay of the original while adding major new features and improvements such as flank attacks and strategic movement. Melee combat has also been given greater emphasis and the range of troop quality has been expanded to include elite units. 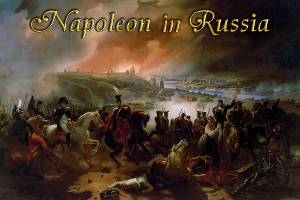 Get Napoleon on Russia on iPhone & iPad for just $0.99 today! Napoleon in Russia recreates 5 historical battles from the doomed Invasion of Russia. There are also non-historical skirmish engagements included as well as one more available as a bonus mission. 12 Days of Christmas offers – Day 1! Our 12 Days of Christmas offers start today with a brand new release! 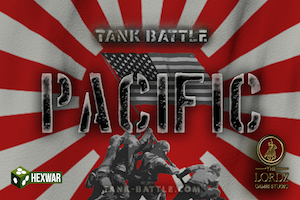 Tank Battle: Pacific is out now for iPhone & iPad and is just $0.99 for Christmas Day only (regular price $1.99). Ask most historical strategy gamers about World War Two and not many would have thought there were any tank battles in the Pacific Theatre of World War Two. They did happen, and they happened often, but they never matched the scale of the Western Theatre. Starting in China in the 1930’s the Chinese engaged the Japanese using Russian T26’s and German Panzer I’s. The Japanese fought the Russians in 1939 and 1945, the Soviets with the one of the world’s greatest generals, Zhukov, in command! 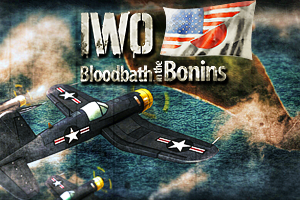 IWO: Bloodbath in the Bonins Released! IWO: Bloodbath in the Bonins is a digital re-imagining of a classic strategy board-game featuring an expansive campaign spanning the battle of Iwo Jima from 19th Feb to 22nd Mar 1945. The game features a large hex-based campaign map which encompasses the entire island of Iwo Jima. As well as an in-depth tutorial and in-game tips a comprehensive information database is also available covering key aspects of the invasion of Iwo Jima. Tank Battle: East Front is an exhilarating turn based strategy game in which you use hex based tactical combat to dominate foes on the Russian front of the Second World War. Fight as the Germans or the Soviets in a series of ever more complex missions. This new edition includes the 7 Mission Tutorial, 6 Mission Phoenix Campaign and 8 Mission Blitzkrieg, 1941 Campaign. Once you have defeated there, there are over 100 further missions across 14 campaigns that can be purchased within the app.